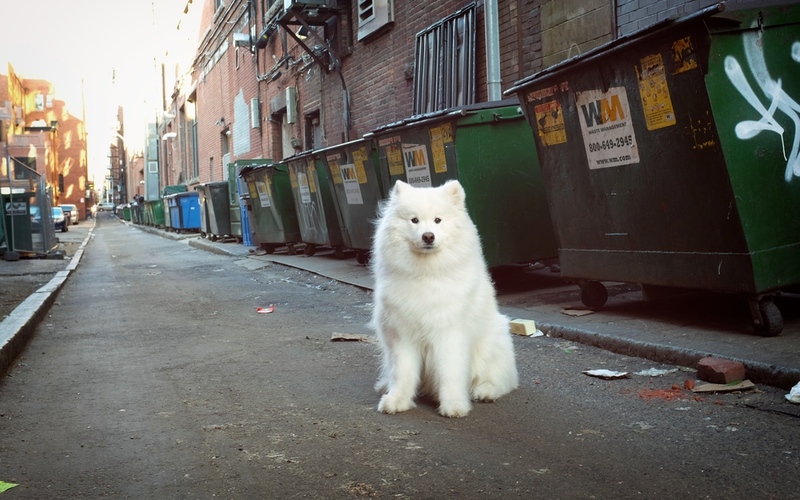 Harvard is an 11-year-old male samoyed dog. He lives, plays, and volunteers in his favorite city, Boston, Massachusetts. Harvard Dangerfield is a registered therapy dog, AKC champion show dog, Urban Canine Good Citizen, philanthropist, Pawston Socialite, and super fluffy pawty animal in the city of Boston. While he has been popular in his hometown of Boston, his popularity outside of Boston has recently grown through various social media platforms, most notably, Instagram, where Harvard's photos provide long-distance pet therapy around the globe. Harvard became a certified therapy dog when he was 6 months old. Since then, he has provided formal pet therapy to people in hospitals, nursing homes, elementary schools, universities, libraries, corporations, and disaster areas. He is also an AKC champion show dog. He is retired from the show ring, but he cheers on his nieces and nephews as they earn their Best In Show titles! When he is not working, Harvard enjoys going for walks and making new friends around his city, and philanthropically supporting local pups.